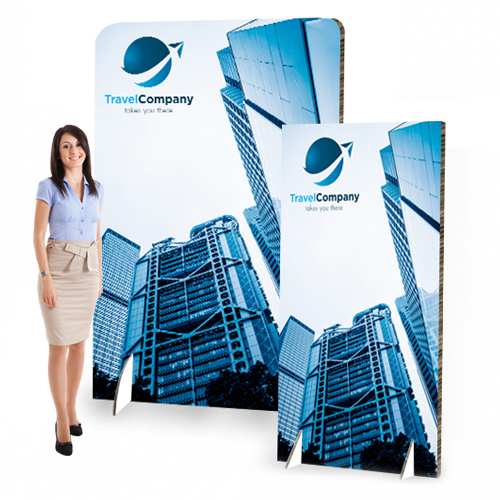 Are you looking for a stand that is extremely low-priced and environmentally friendly? 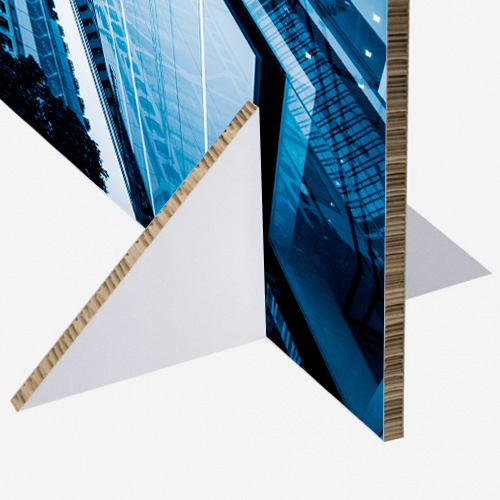 Then choose the remarkable Re-board wall. A straight presentation wall of Re-board 16mm. Very easy to set up! 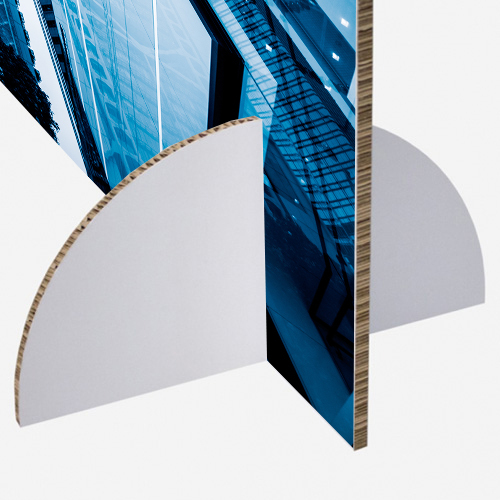 Print your Re-Board stand today at round or right angles at the very lowest price of United Kingdom! Do the Reboardstands come with a matching case or bag? For the delivery of your reboardstands we use multiple carriers. Because of the highest reliability, in most cases we use UPS or DPD. The display Reboardstands comes with a matching case. The case has wheels which makes it easy to handle. The case excludes the case print.